Love it or hate it, the weekly shop is a recurring tradition for families the world over. It also presents a key opportunity to get smart with our money, particularly if we’re looking to keep a tight rein on budget. The good news is that there are plenty of quick tweaks that could easily save you hundreds of pounds over the course of a single year – and none of them involve missing out on your favourite bits and pieces. When faced with the choice between supermarkets, a lot of people tend to automatically opt for the one that is closest to their house. But while this convenience is certainly a plus, it’s not always the most cost-effective. 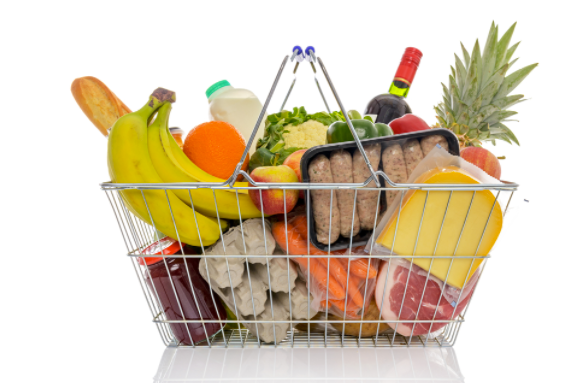 Scout out a few different supermarkets before deciding which one offers the best value for your average weekly spend. By taking a few minutes to jot down a list of all the things you need for that week, you are far less likely to go out spending on a whim, and it will definitely cut down the time you spend rambling around the aisles. Remember, idle browsing is the enemy of the conscientious budgeter. Whether it’s Nectar points at Sainsbury’s or a Clubcard at Tesco, regular shoppers can benefit greatly by building up their balance of bonuses. The trick here is to get into the habit of using your card every time you nip into the supermarket. It might take a few months of restraint before your bank of points starts building, but just remember you’re putting yourself in a good position to save further down the line. How often does the idea of ‘not having anything in the cupboards’ result in getting a takeaway? Quite often, we’d say. Make sure you’re well stocked on long-lasting items such as rice, pasta, olive oil, tinned tomatoes and the like. These should be considered essentials that enable you to whip up a quick meal whenever necessary. The question as to whether one can actually tell a discernible difference between branded and non-branded items is a really interesting one – and likely to be rooted in our own psychology. If you’re still adamant about a difference in quality, why not set yourself a taste test on things like ketchup or cornflakes and see whether you’d be happy putting more non-branded items in your trolley.